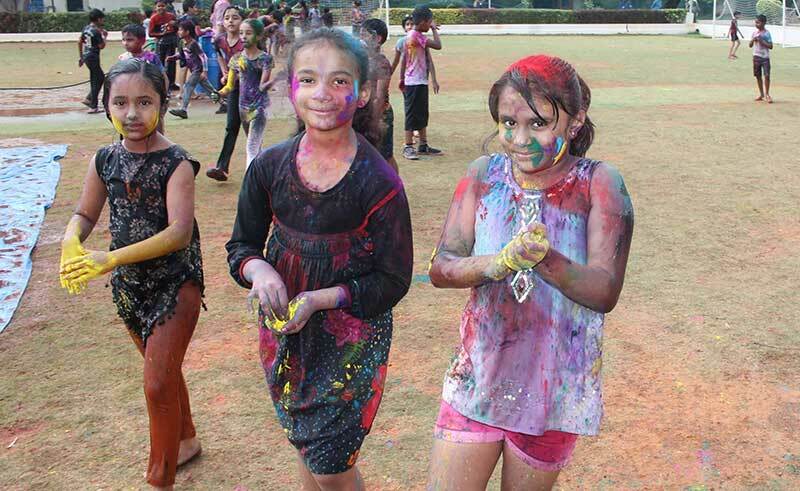 Bengaluru, 21st March 2019: A spring festival of colours ‘Holi’ was celebrated in an eco-friendly way using Organic colours at TRIO World Academy. The students plunged into the riot of colours and took part in the celebrations by applying colours to each other showcasing the symbol of love. At TRIO we have children studying from different diversities and cultures, and this kind of festivals helps children to understand the importance of rich Indian culture and heritage. We encourage children to celebrate organic Holi as an awareness initiative to save environment and not harm the animals. “Holi is a festival celebrated all over the country and indicates the end of winters and beginning of spring. It is celebrated to mark the victory of truth over evil. We at the school would like to promote safe Holi by keeping away from synthetic colours and dyes. I wish everyone safe and colourful Holi said Mr. Naveen K M, Managing Director, TRIO World Academy.